Running from Monday 5 March to Thursday 8 March 2012 in the Supreme Court are the linked appeals of R (on the application of HH) v Deputy Prosecutor of the Italian Republic, R (on the application of PH) v Deputy Prosecutor of the Italian Republic, Genoa, BH (AP) and another v The Lord Advocate and another (Scotland), KAS or H (AP) v The Lord Advocate and another (Scotland) and Genoa Filipek-Kwasny v Polish Judicial Authority. These appeals are being heard by Lady Hale and Lords Hope, Brown, Mance, Judge, Kerr and Wilson. All of the appellants are parents fighting their extradition on the grounds that to extradite them would be incompatible with their rights under ECHR, art 8. HH and PH have been convicted in their absence in Italy of drug trafficking offences and are facing long custodial sentences. They are parents to three children under the age of 10. The appeals from the High Court of Justiciary (Scotland) concern warrants issued by the US District Court in Arizona for the extradition of the parents of six children on charges of conspiracy and importation into the United States of chemicals used to manufacture methamphetamine. The Polish Judicial Authority also seek the extradition on various charges of one of the appellants, a woman who is a mother of five and who alleges her husband is too ill to look after the children by himself. The issue for the Supreme Court to determine is whether the extradition of the appellants is incompatible with their right under ECHR, art 8 to respect for private and family life – in particular, the question of the weight to be given to the rights and interests of the children in considering art 8 issues in an extradition case. On Wednesday 7 March 2012 the Supreme Court will hand down judgment in the following: PP (Algeria) v Secretary of State for the Home Department, W (Algeria) and BB (Algeria) v Secretary of State for the Home Department and Z (Algeria), G (Algeria),U (Algeria) and Y (Algeria) v Secretary of State for the Home Department. In the Privy Council on Wednesday 7 March 2012 is the appeal from the Court of Appeal of the Republic of Trinidad and Tobago of Chandrawatee Ramsingh v The Attorney General of Trinidad & Tobago, which concerns the appellant’s detention at a police station following an alleged attack on a neighbour during which no steps were taken to investigate the matter. The defendant seeks damages for false imprisonment. Case details are available here. On Thursday 8 March the same panel (L Phillips, L Clarke, L Dyson, L Sumption and L Reed) will hear Marcus Jason Daniel v The State, another appeal from the Court of Appeal of the Republic of Trinidad and Tobago concerning whether fresh evidence as to the appellant’s mental health should be admitted and the case remitted to the Court of Appeal to consider the safety of the conviction. Here are the case details. On Wednesday 7 March 2012 the Judicial Committee of the Privy Council will hand down judgment in the following: Dylan Simon v Manuel Paul Helmot, Sans Souci Limited v VRL Services Limited and [J & O Operations Limited and another]; Eloise Mulligan and Grace Wong v The Kingston & Saint Andrew Corporation. PP v Secretary of State for the Home Department, (formerly VV [Jordan]), PP v SSHD, W & BB v SSHD and Z, G, U & Y v SSHD, heard 30 – 31 January 2012. In the Matter of S (a child), heard 20 February 2012. 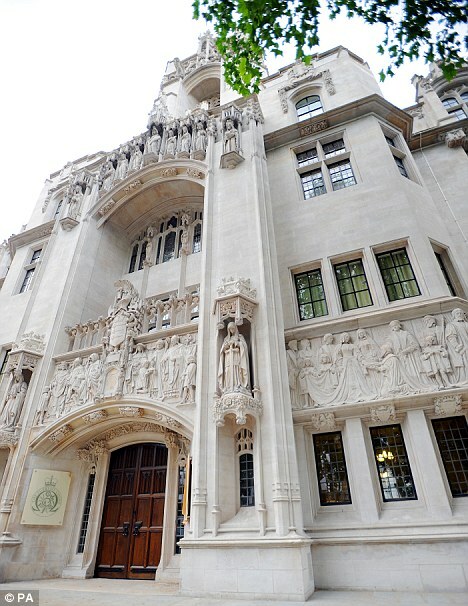 Leave a reply on "In the Supreme Court w/c 5th March 2012"